It's been dubbed the worst peacetime maritime disaster since the Titanic. Five days before Christmas in 1987, MV Dona Paz collided with an oil tanker off the coast of the Mindoro islands. The barrels of oil from the tanker ignited on impact killing four thousand passengers. Asia's Titanic attempts to dissect the tragedy via first-hand accounts of survivors and rescuers, archival footage and photos, transcripts, and a re-enactment of the collision. At the helm of things is Filipino director Yam Laranas. He is the first Filipino filmmaker to do a full-length documentary for the National Geographic Channel. He is best known for Sigaw, a film which has been remade in Hollywood as The Echo. 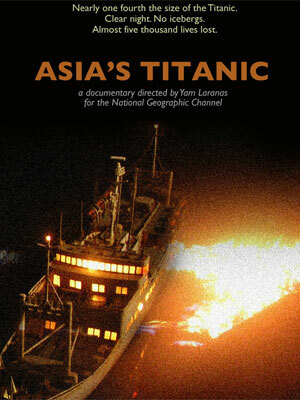 Asia's Titanic premieres tomorrow night, 9pm on the National Geographic Channel. Take your cue from Ninoy!